Kids and sport: How much is too much? Here at Vuly, we love the idea of young Aussie kids heading outdoors and getting active – especially on our trampolines. But as kids, sport can become a little bit too competitive. Pushing them too hard risks exposing them to the possibility of over-training and burn out. We've talked about finding the right sport for your child before, addressing team vs. individual sports. Today, we zone in on the issue of ‘overactivity’ and discuss the warning signs to be on the lookout for, if your kids are constantly on the move. Kids and sport – How often should they be training? It’s 2016, and your child’s extracurricular sports have come a long way since the days of your youth! 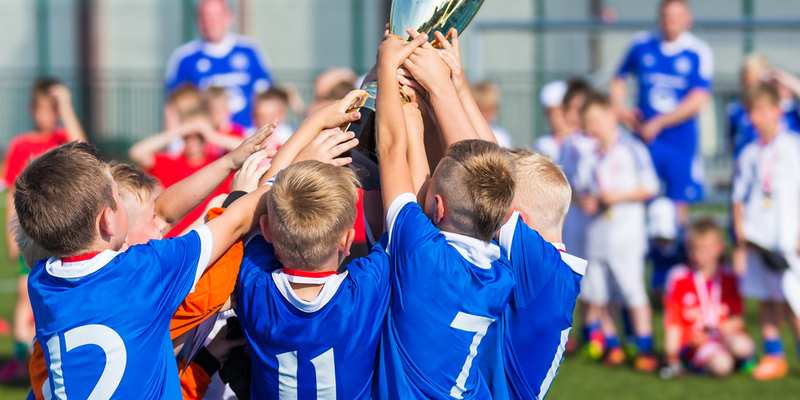 Larger schools, bigger trophies and more advanced sporting techniques means greater pressure on participants to achieve. With their full schedules – including school work, home work, sports, music lessons, family events and catch ups with friends – it’s easy to see how children can quickly become overwhelmed and fatigued. If your life is becoming more hectic for you, the same is probably happening for your child! As a general rule, daily exercise needn't exceed 1-2 hours. After a big day at school, children are often already looking for downtime; training any longer than this can have a negative impact both physically and mentally – even affecting their performance in the classroom the next day. Kids and sport – Should they stop altogether? Because children’s bodies are still developing ligament and bone strength, they are more susceptible to injury. If your child has been injured and has been given a time frame in which to abstain from sport and training, it’s important to stick to it! Training on an injury sooner than directed can result in further trauma, potentially even creating a lifelong issue for your child. 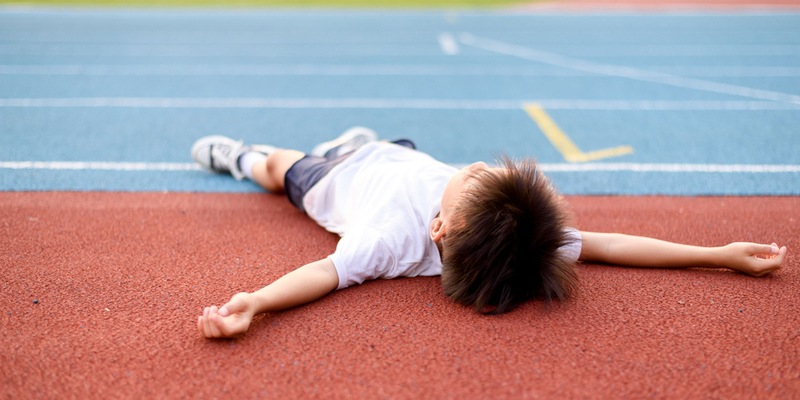 Kids and sport – What are signs of burn-out? It’s important to monitor how your child is feeling about their sports activities in a physical, as well as mental, sense. If they’re lacking in motivation, having issues being part of a team or are slowing down in terms of performance, they could very well be burned-out. Remember that pushing your child to achieve beyond their capacity can have a poor effect on their self-esteem; if they’re feeling run-down ensure, that they're presented with the option to take some time to rest and rejuvenate. Often, after some time off, they will be fired up and keen to jump straight back into their old sporting routine! Kids and sport – It’s all about balance! Sport is a fantastic, healthy pastime for kids. It encourages an active lifestyle and a positive mental state. However, it’s important for parents to know the difference between healthy sports engagement and unsustainable levels of exercise. Remember to support and encourage your child without placing too much pressure on them, and always keep your eye out for the telltale signs of burn-out. Do you have kids who love their sport? How do you help them maintain a balance between these commitments, and their school and home lives?